To define a game environment mimicking real-life farming in a well-defined area. To enable players to individualize the game using a simple editor. To provide a game planning tool for the player who wants to do a pre-game setup. The user’s interaction with the mod occurs in between games, using a simple editor and some means to rezip the mod into a zip file. This is a rather simplistic approach, but the mod only requires editing when starting a new map. The mod writes about 1800 lines of information to the log file. How much land do you own? How many animals can I have with this much farmland? Can I buy more land or should I rent? What crop and how many hectares are needed to feed the animals? How many bales do I need of straw and grass? Do I have surplus crop for selling? What crop gives the highest income per hectare in my area? How much seed is needed? How do I calibrate my spreader / sprayer to spray the right amount? How much milk, wool, egg, manure and slurry do my animals produce? How much nutrient is in my organic fertilizer? How fast will my animal stock reproduce? What if I want to specialize in large-scale animal farming? 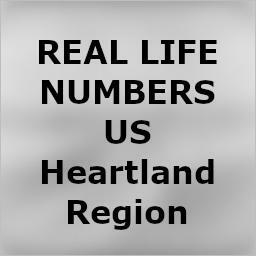 The present version of the game contains real-life statistical data for USDA Heartland Region. Mod versions based on data for other USDA regions will be published if so requested. The mod reads data from the save game folder. To work as intended, save your game, exit and reenter after starting a new map or after placing animal pens. A detailed (50 page) description of the mod is saved inside the zip file.